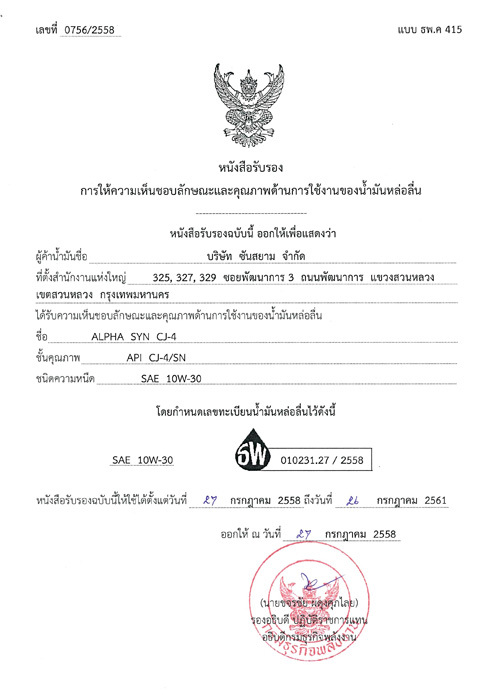 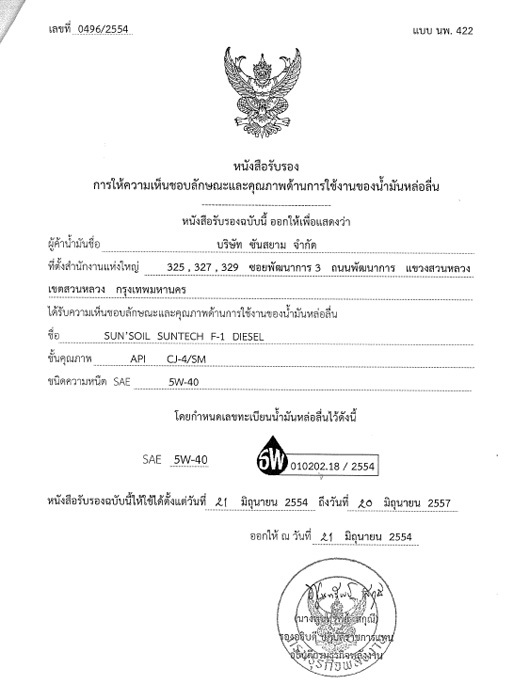 น้ำมันเครื่อง ซันซอยล์ (Sunsoil) "หล่อลื่นดีเยี่ยม เปี่ยมด้วยคุณภาพ"
SUN'SOIL ALPHA SYN CJ-4 is premium semi-synthetic engine oil produced from high quality base stocks with special additive packages specifically designed to provide superior lubrication, protection, thermal stability, and excellent fuel economy. 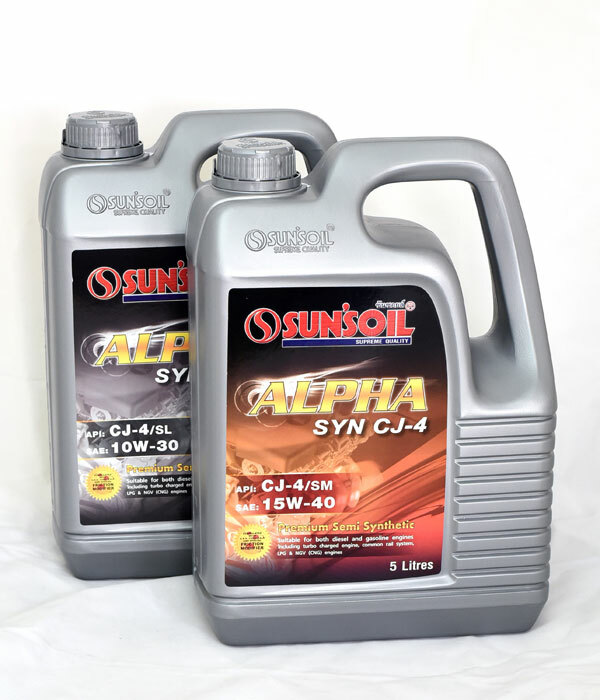 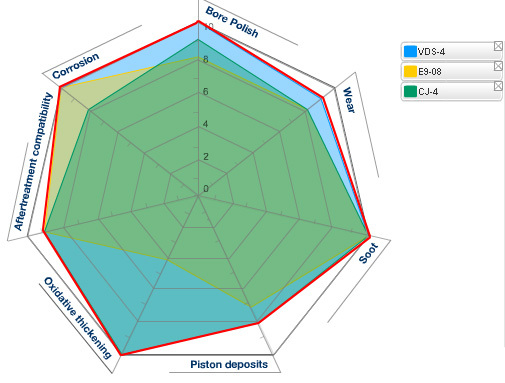 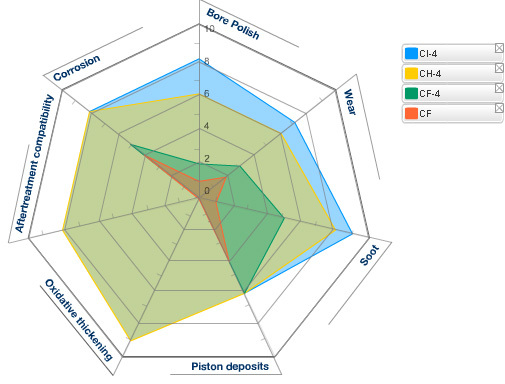 SUN'SOIL ALPHA SYN CJ-4 is suitable for all types of diesel engines including common rail system, engines with turbo charger and new engines (model-year 2007 and beyond) with Exhaust Gas Recirculation (EGR), Diesel Particulate Filters (DPF's) and Diesel Oxidation Catalysts (DOC's). 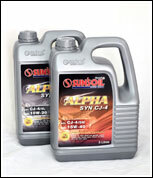 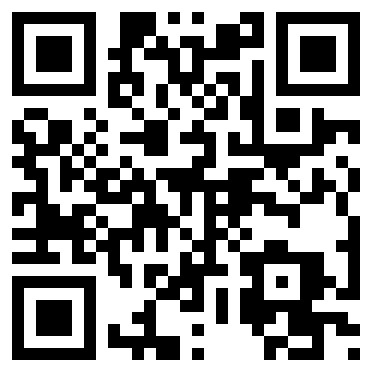 It is also suitable for LPG, NGV (CNG) and gasoline engines. 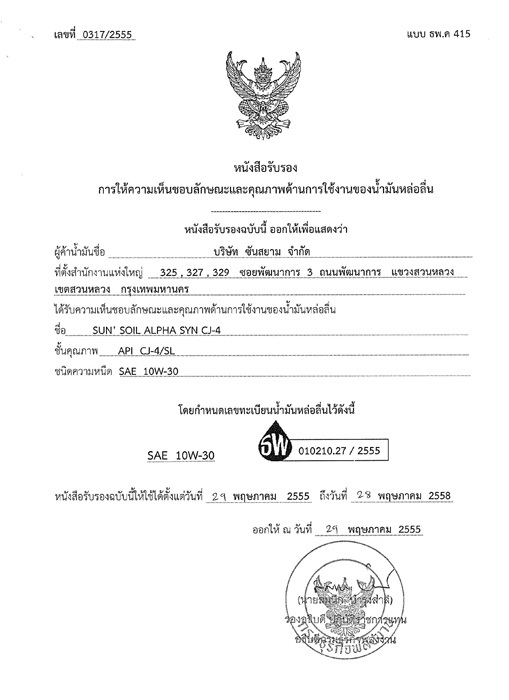 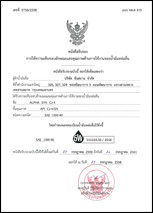 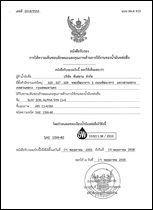 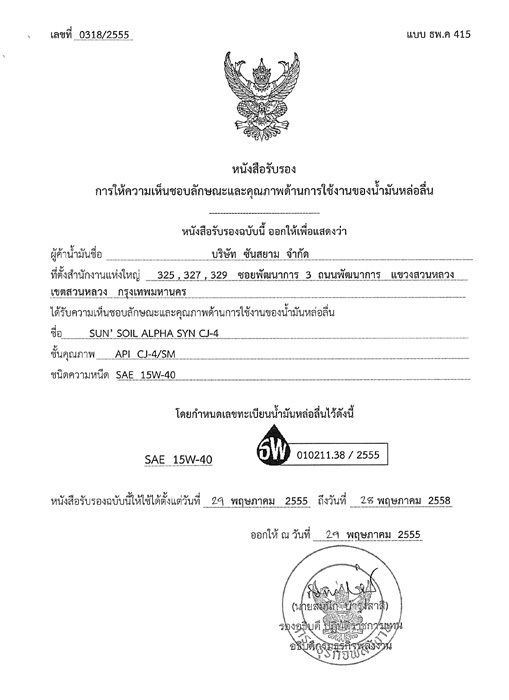 E-mail : Copyright 2005-2019 © Sun Siam Co., Ltd.